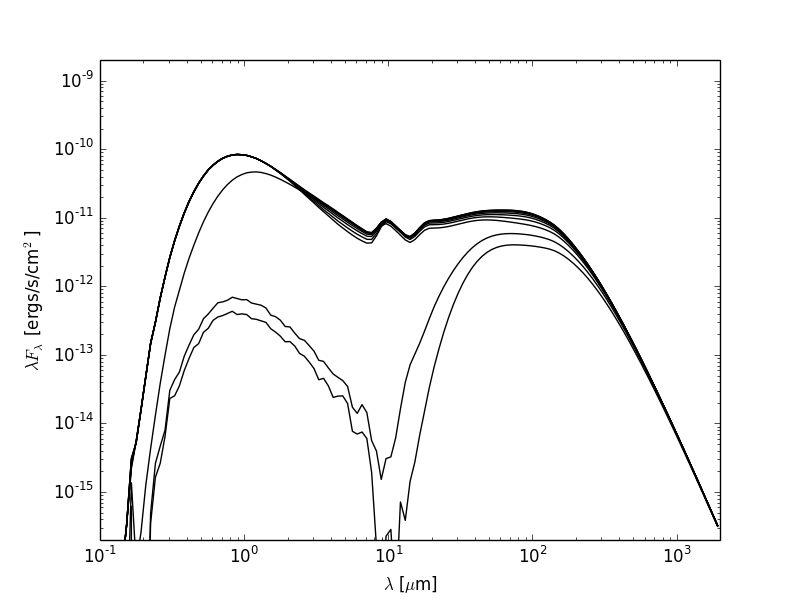 So you’ve run a model with SEDs, and you now want to plot them or write the out to files. The plotting library used in this tutorial is Matplotlib but there is no reason why you can’t use another. The examples below get you to write Python scripts, but you can also run these interactively in python or ipython if you like. 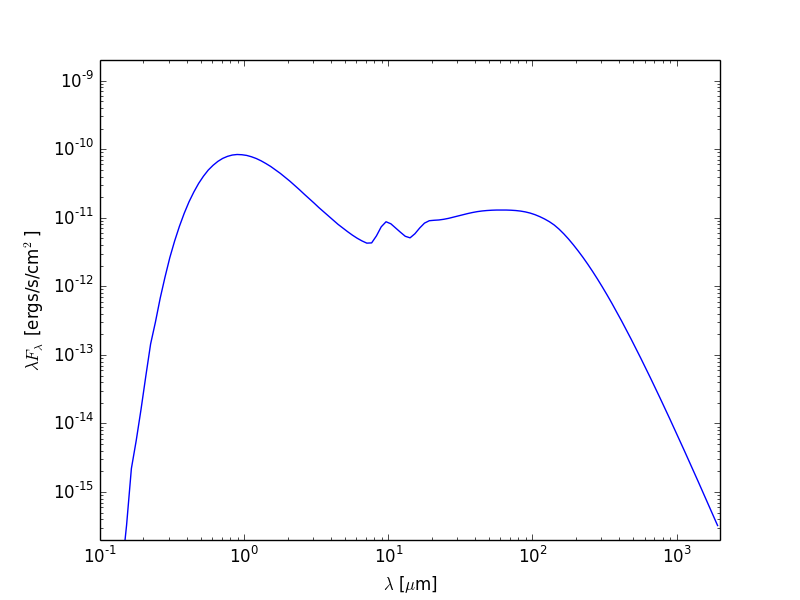 As an example, let’s set up a simple model of a star with a blackbody spectrum surrounded by a flared disk using the AnalyticalYSOModel class. Note that the subsequent plotting code applies to any model, not just AnalyticalYSOModel models. If you have never used Matplotlib before, you can first take a look at the An introduction to Matplotlib tutorial. # largest aperture, we set aperture=-1. # sets the x and y axes to be on a log scale. you can plot the individual components. 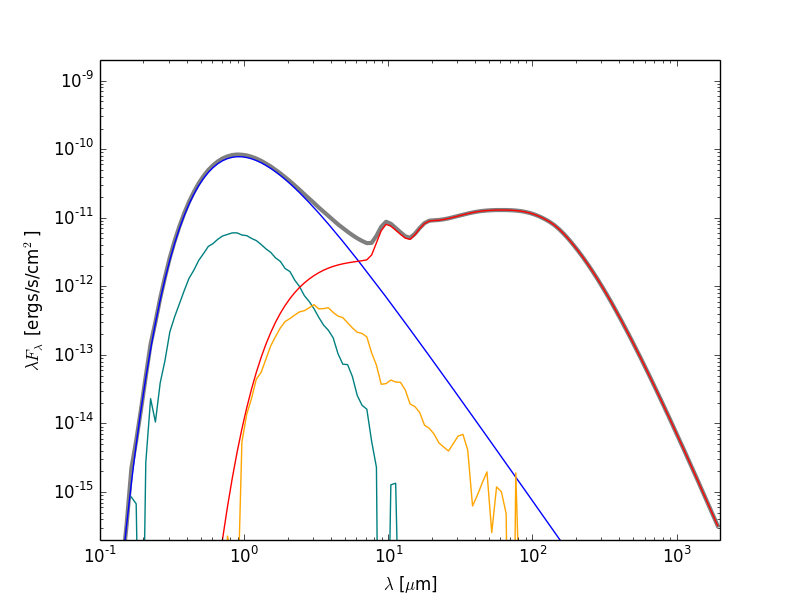 Notice that we included the former in the model at the top of this page, so we can make use of it here to plot separate components of the SED. If you have never written text files from Python before, you can first take a look at the Writing files in Python tutorial. The output files from the radiative transfer code are in the HDF5 file format, and can therefore be accessed directly from most programming/scripting languages. However, in many cases it might be most convenient to write a small Python script to extract the required information and to write it out to files that can then be read in to other tools.